ICBB Lean Six Sigma Black Belt certification exam cleared with the good scores. 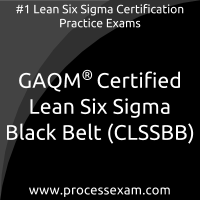 To achieve the professional designation of Certified Lean Six Sigma Black Belt from the GAQM, candidates must clear the CLSSBB Exam with the minimum cut-off score. For those who wish to pass the GAQM CLSSBB certification exam with good percentage, please take a look at the following reference document detailing what should be included in GAQM Lean Six Sigma Black Belt Exam preparation. 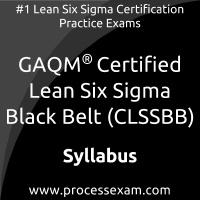 The GAQM CLSSBB Exam Summary, Body of Knowledge (BOK), Sample Question Bank and Practice Exam provide the basis for the real GAQM Certified Lean Six Sigma Black Belt exam. 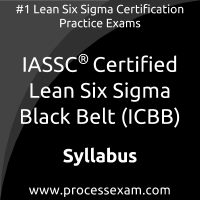 We have designed these resources to help you get ready to take Certified Lean Six Sigma Black Belt (CLSSBB) exam. If you have made the decision to become a certified professional, we suggest you take authorized training and prepare with our online premium GAQM Lean Six Sigma Black Belt Practice Exam to achieve the best result. 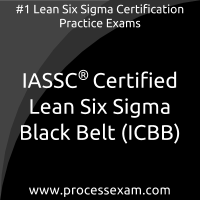 You can easily pass GAQM Lean Six Sigma Black Belt (CLSSBB) Certification with the help of our online practice exam. We are here to help you every step of the way to pass your Certified Lean Six Sigma Black Belt exam. Our team of experienced and certified professionals with more than 12 years of experience in the field of Business Process Improvement has designed practice exam to prepare for GAQM CLSSBB certification. They have carefully maintained exam structure, syllabus, time limit and scoring system same as the actual GAQM Certified Lean Six Sigma Black Belt exam. Our GAQM CLSSBB question bank contains most frequently asked and real-time case study based questions prepared by collecting inputs from recently certified candidates. To get familiar with our online GAQM Lean Six Sigma Black Belt certification practice exam environment, we invite you to try our sample practice exam to build the trust between us.